Sam Nhlengethwa is one of South Africa's foremost artists. Born in 1955, he studied at Rorke's Drift and the Johannesburg Art Foundation. He was awarded the Standard Bank Young Artist of the Year award in 1994, the year South Africa held its first democratic elections and freedom was won for all its people. He has successfully exhibited all over the world from Senegal to New York and Cologne. His work is largely figurative and he explores themes that are close to his heart such as the plight of mineworkers, jazz and the physical space of contemporary Africa. 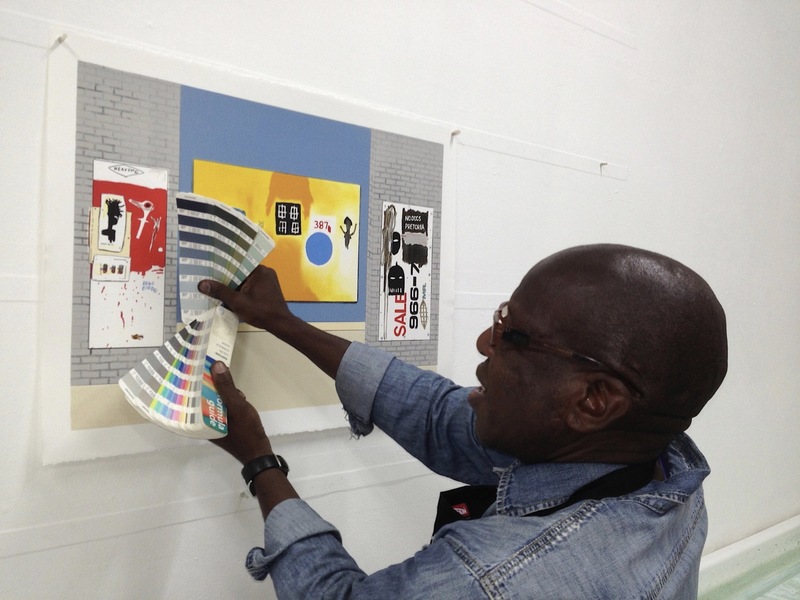 In his prints and paintings, Sam Nhlengethwa uses overlays of techniques such as collage painting, drawing and photography. His fine sense of colour and form lend an abstract quality to his work. He has been included in many contemporary South African art publications and his work can be found in leading South African and International collections. Over the years he has worked on many prints at The Artists' Press. Please scroll through the list of links and select the series that you would like to look at. Enjoy, they are beautiful prints!